To clear up the speculation: @digitalfoundry will have an exclusive Xbox Scorpio reveal on @eurogamer this Thursday at 2pm UK / 6am Pacific. For some reason I half expect the console to look like a coffee maker......not sure why. I just hope Microsoft doesn't cancel it like they've been doing with literally everything else this gen. I'm really curious about how it's going to stack up against mid range PC builds. If the price is competitive I think that the Scorpio could be really successful, as long as they have the software to back it up. I imagine this to be crazy powerful and costly. My hype engine is ready. I can't wait for another NO GAMES machine. gotta show me games to even interest me in dropping so much money for one. @Yoshi That sounds about right. I'm just glad they aren't abandoning the console and pushing out a new one in less than 5 years like Nintendo. I'm really interested in seeing what the Scorpio turns out to be. Though I'm not much of an Xbox fan and never felt like I missed out on anything by not owning a 360 or XBone. If they end up making most games available on PC I don't see the need to start now either.. I still think this console 1.5 thing is really strange.. Does anyone think this will be a regular thing or is it a lackluster experiment that we won't see again next gen? @Faaip I think it will be a regular thing. Nintendo has been doing it for a while with their handhelds, so using a similar model with consoles doesn't really seem like a radical idea, at least in my opinion. @El-Shmiablo Yeah that's a good point. I just wonder about price. If it ends up costing ~$600+ would that be worth the performance boost to people? @Faaip To be honest, I think the thing could be rocking dual gtx 1090s and it wouldn't matter. The average consumer isn't going to care how many pixels the thing can push if none of their friends are playing on it. With more and more Xbox games being cancelled or going through development hell, there is less and less reason to purchase one, so playing games at native 4K is a moot point when it barely has any to begin with. 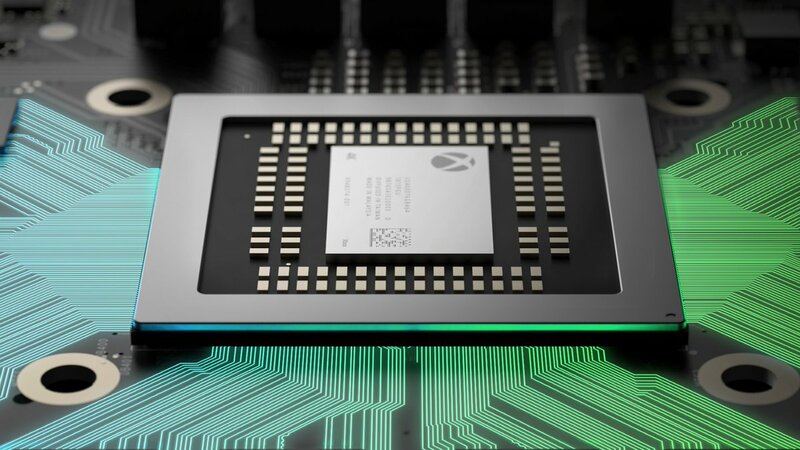 @El-Shmiablo Scorpio is not headed toward the average consumer (I think PS4 Pro neither), Phil said, in podcast unlocked a couple of weeks ago, that Scorpio will be a premium product for core consumers (I would add core xbox consumers), that's why they are presenting the console in a tech enthusiasts program with a respectable tech overview. The average consumer will still be buying the S.
Everyone knows the higher the specs the better the console. @Art Am I the only one who kind of misses the console wars? This joke may be too old for me, but wasn't the Jaguar not even true 64bit? Like it was false or something?